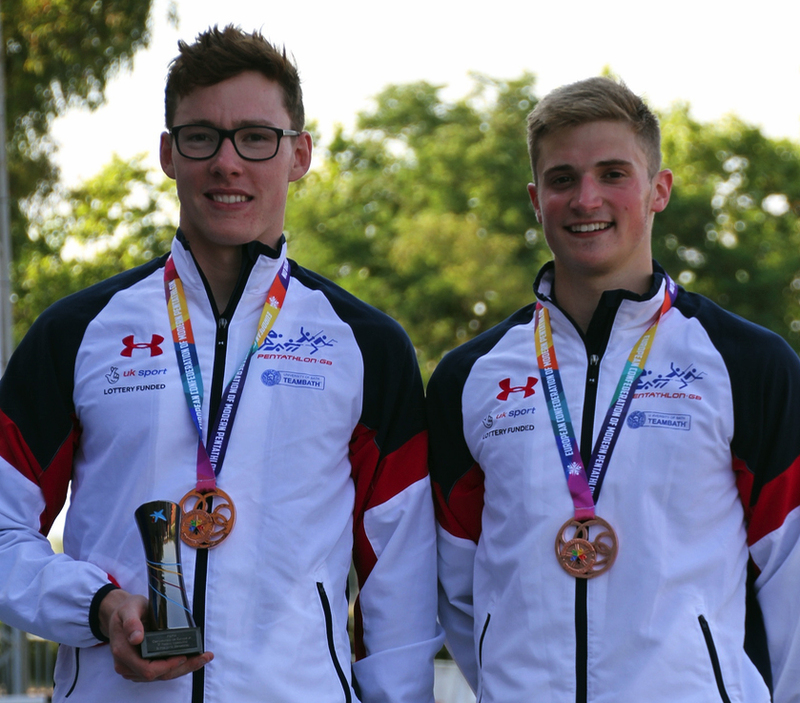 PLYMOUTH pentathlete Myles Pillage claimed a Junior European Championship medal in Barcelona on Friday. Pillage and his Great Britain team-mate Bradley Sutton took bronze in the men’s relay event. It made it back-to-back medals for British athletes after Charlie Follett and Zoe Davison became the new Junior European champions in the women’s relay the day before. For Pillage the relay event was a chance to make up for a frustrating individual competition. He reached the final of that event and was third going into the final discipline after impressing in the swimming, fencing and riding sections but struggled in the laser-run and ended up finishing 32nd. He and Sutton were certainly in determined mood in the relay. They set off on the right note with a blistering time of 1:44.75 in the swim, which was nearly seven seconds clear of any other nation. In the fencing hall, the duo both held their own to finish with 19 victories and 21 defeats from their 40 bout. That saw them finish the morning in third place in the overall standings. Pillage and Sutton had also teamed up in the men’s relay event at last year’s Junior European Championships where they suffered a tough time in the horse-riding arena. However, they put those demons behind them this time around with a perfect clear round. That meant 20-year-old Pillage and 19-year-old Sutton picked up the maximum 300 points. That moved the British pair up to second spot heading into the laser-run. With the Hungarian and Polish teams both close behind, it was set for a race-long battle for silver and bronze. Former Plymouth College pupil Pillage kept the young duo in contention for a medal, taking the first two laps and handing over in third at the exchange, just a few metres behind the Polish and a few metres in front of the Hungarians. With the Polish team starting to pull away, it came down to a battle for bronze between Britain and Hungary at the final shoot. 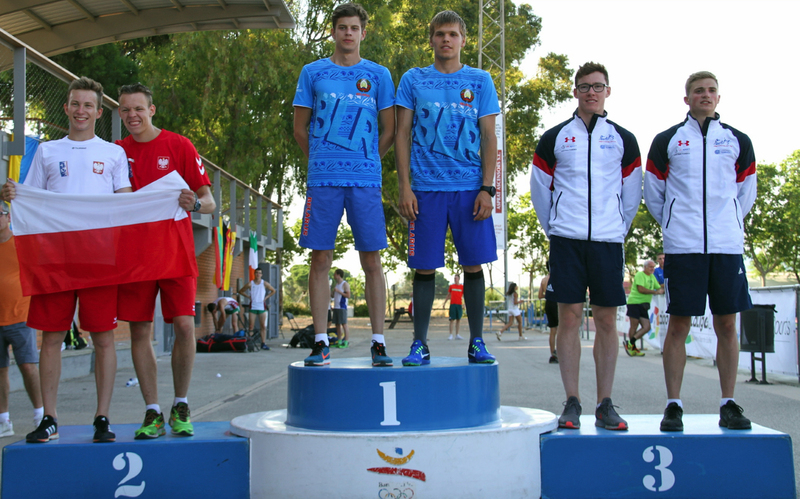 It was to be Basingstoke’s Sutton who kept his nerve with a rapid visit to the range seeing him distance his Hungarian rival and comfortably hold on to bronze over the final 800m, the first junior major championship medal for both British athletes. Belarus took gold, with Poland second. The result also underlined how far both athletes have come in the past 12 months with the same combination finishing 10th last year.